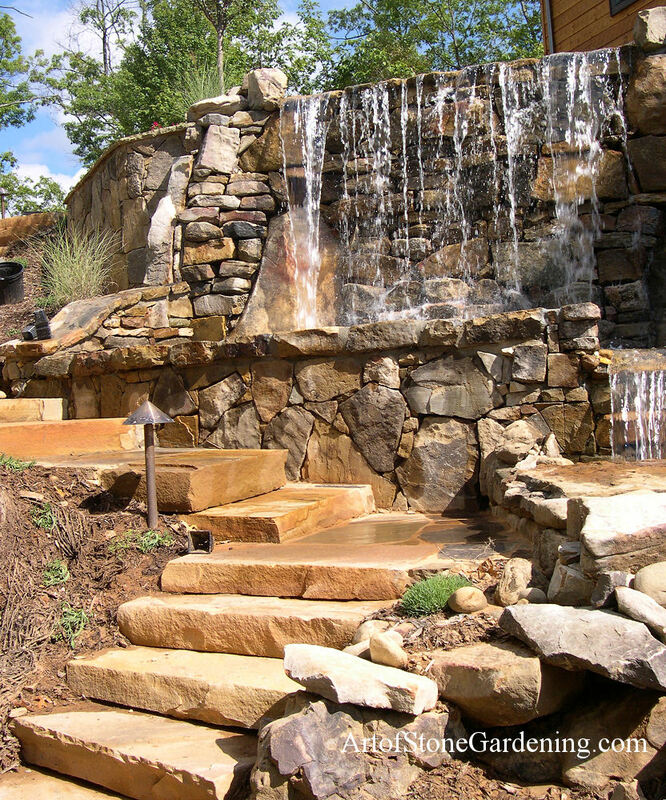 For these clients, nothing would do but to create a dramatic waterfall and stream. 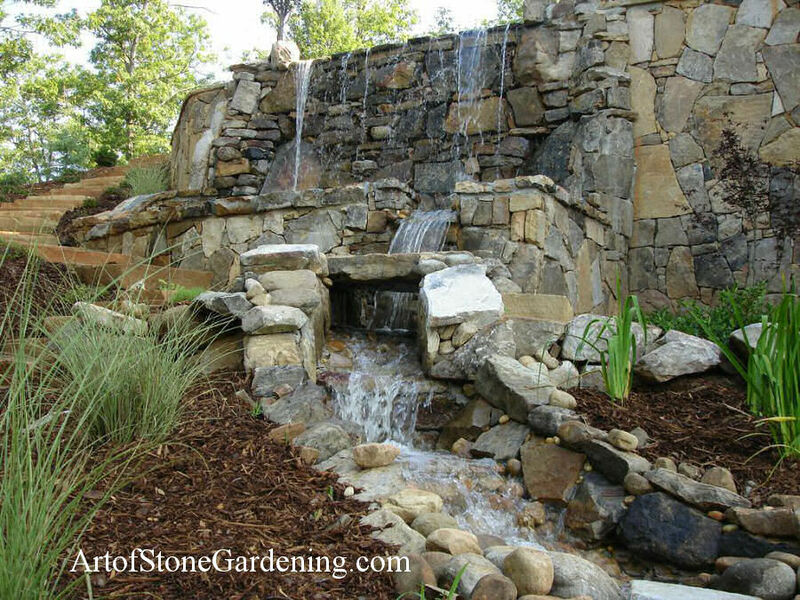 They wanted to be able to hear rushing water from the third story of their house and a beautiful garden to match. 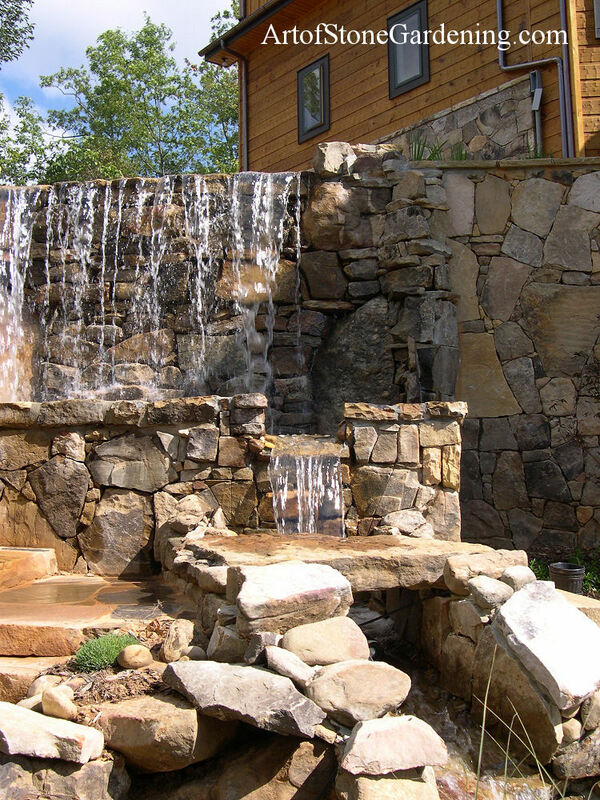 So we installed the ten foot waterfall, a smaller waterfall below that, a stream above and below connected by two pool pumps, steps from the second story to the basement, and irrigation for all the plants we installed. 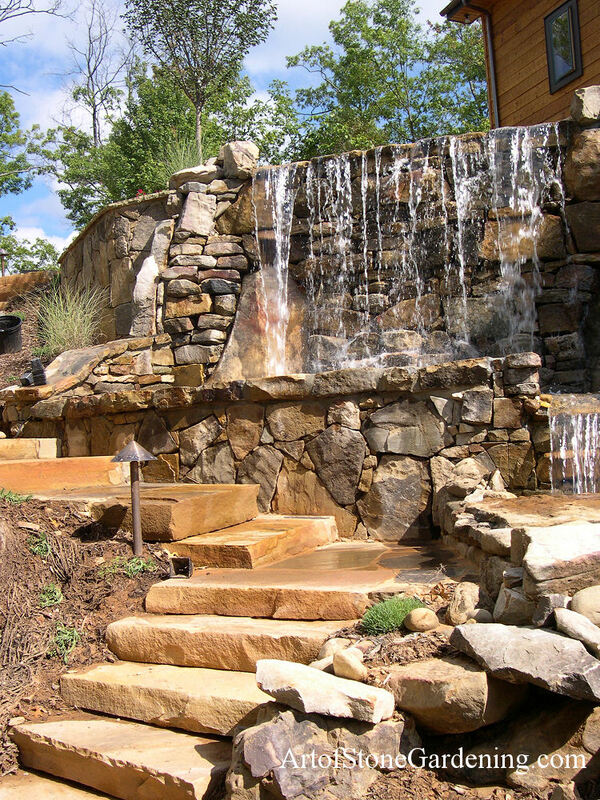 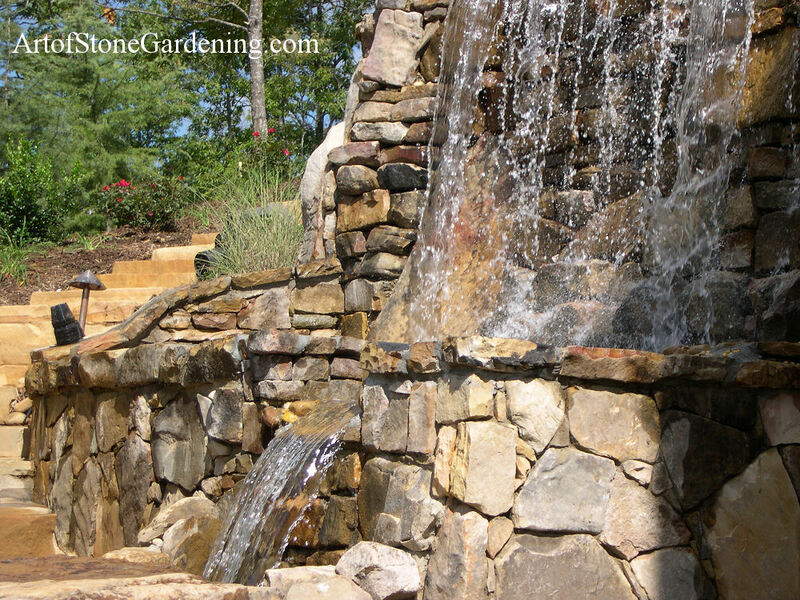 We ended up using Tennessee Field Stone for the waterfalls because of it’s brilliant colors. 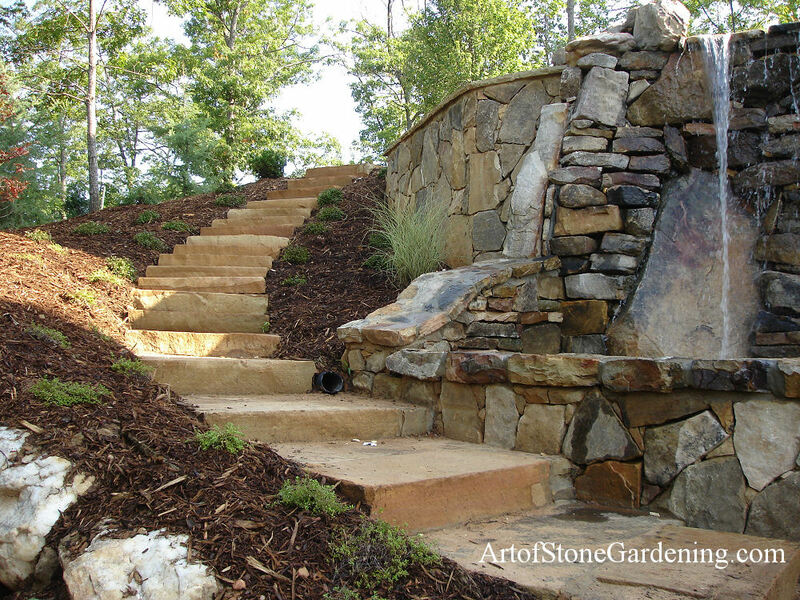 They had a very steep lot that overlooked Lake Rabun which was perfect for this project.